The 2019 Gore Country Music Queen will be crowned on Saturday May 18th. Prior to the crowning, contestants will learn public speaking skills from Gore Toastmasters Club members. Local businesses including H & J Smiths and The Sanctuary will assist contestants to look their very best for the crowing event. This competition is focussed around empowering young women to learn new skills and find confidence in a public role. 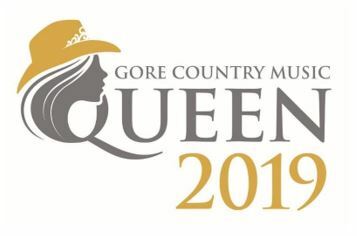 Part of the prize package for the new Gore Country Music Queen will be to represent the Gore District at the Tamworth Country Music Festival in January 2020 as well as being a key representative during the 2019 MLT NZ Gold Guitar Awards from May 25 to June 2. In 1979, the Gold Guitar Awards started a Miss Gold Guitar Contest. This proved most successful and was carried on annually. 1986 saw the first Tamworth Country Music Festival Queen make an appearance at the Awards, and each year since, Tamworth has sent a Queen representative. Married women were included by 1996 and the name was eventually changed to the Gore New Zealand Gold Guitar Queen. Treacy Farquhar was our first Miss Gold Guitar. Our Queen, as part of her prize, attended the Tamworth Country Music Festival each January. In 2005 however, the Gold Guitar Awards Committee joined with the Gore District Council to enlarge and enhance the event. It is now called the Gore District Ambassador Award and is open to both men & women. Because of the Gold Guitar Awards and Country Music, Tamworth and Gore formed a Sister City relationship in 1992 which has certainly flourished. Now pupils from schools and sporting teams visit Tamworth each year and vice-versa. The Tamworth Mayor, Sister City Chairman and Tourism Tamworth regularly attend our festival, as well as their Queen, while a large Gore contingent, including our Mayor and Councillors visit Tamworth each January for their Country Music Festival. In 1998, Gore Country Music Club Member, Jessie McChlery-Tytler, because of her hard work and dedication in fostering the Sister City Relationship, was awarded the title of Special Ambassador for Tamworth by the Tamworth City Council. The Gore Tamworth Sister City relationship was further enhanced by the opening of the GORE GARDEN in the Tamworth Botanical Gardens in January 2003. The Tamworth 2002 Australian Post Queen of Country Music, Rebecca Redfern, made the announcement at the Gore New Zealand Gold Guitar Queen Finals held in May 2002. When our Queen, Natasha Houlahan, visited Tamworth in January 2003 for their Country Music Festival, she and the new Tamworth Queen carried out the first of an annual tree planting to celebrate the important and continuing relationship between the two Country Music Capitals. On 31 May 2005 the Gore Country Music Club unveiled the Hands of Fame Structure in Gore and beside it, in May 2006, the TAMWORTH GARDEN was established. The Mayor of Tamworth, James Treloar, Gore Mayor, Tracy Hicks, the Tamworth Queen of Country Music, Kasey McCulloch and our own Tamworth Ambassador, Jessie McClery-Tytler, planted 6 Australian native plants to reinforce the special relationship with our Sister City, Tamworth. The plantings will be an annual event in Gore to coincide with the New Zealand Gold Guitar Awards. Warning! Please fill in the required fields.